In functions/social-connect.php you can hide the social icons with css. Some road map for upcomming relasion ? Jut purchased UserPro. Very pleased so far. Thank you! kurt: Did you try to ask the plugin author for possible conflict between his ànd userpro? Marz: Do you want userpro to add and manage user roles as well? Yes, that flexibility would behoove many potential customers. For example: Many may want to change “subscriber” to “client” and have the client only able to view products and certain help pages. Moreover, they many want to change “Author” to “sales Rep”, or “Customer Service rep” and have certain restrictions applied to that role as well. Custom achievement and reward icons would also be a huge benefit. Just set the parameters similar to that of a Favicon. 24px * 24px .icn .png file etc. This plugin is awesome and has so much potential. I am so impressed. Thanks Marz the development of such major features while keeping support in focus is not simple, I’ll try to add features slowly to the plugin while keeping support my main focus to keep the plugin as stable as possible. I noticed that many users do not confirm their account would be nice to include the ability to send the request again before deleting them. I thought, maybe this is what people need! Ku Nhóc, this is exactly what I’m looking for too! 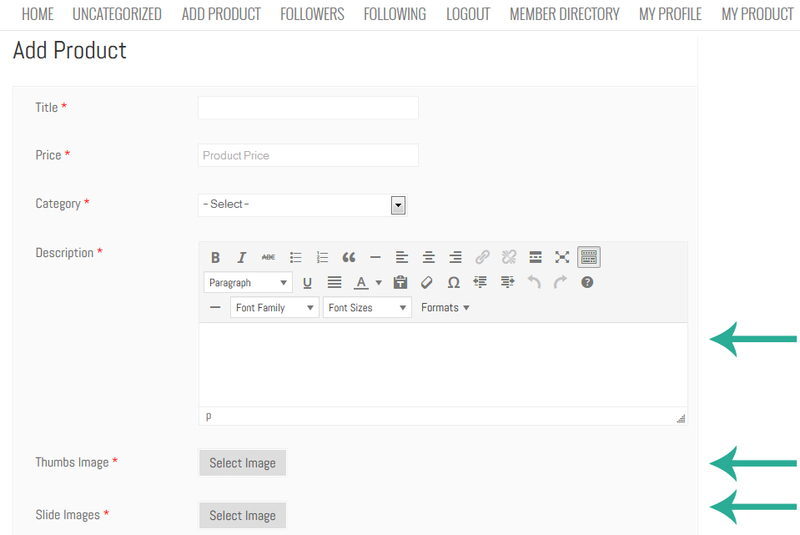 You can achieve this with the frontend editor, but it is not possible to upload a dynamic number of images. This forum is 100% free and USER to USER support only. Technical support staff doesn’t monitor this forum actively. Here you can find help from UserPro plugin developers and other UserPro fellow users. Please be polite and ask your questions. NO SPAM!